Dog Leash Laws - Do You Know Your State's Requirements? 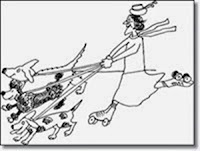 "Leash laws" generally require dogs to be on a leash and under control whenever they're off their owners' property, unless a specific area is designated for unleashed dogs. Some laws apply only at night (when dogs may form packs and do the most damage to livestock) or allow an owner to have a dog unleashed if it is under "reasonable control. "8 Even dog owners who let their dogs off a leash only because they're confident they have complete control over them are probably in violation of a leash law. The American Society for the Prevention of Cruelty to Animals (ASPCA) says, Pet owners who allow their pets to roam unattended are putting the animals' welfare in jeopardy and creating a nuisance to neighbors, other domestic pets and wildlife. Allowing dogs to run off leash in inappropriate places is dangerous for the dog, puts people and other animals at risk and, in many towns and cities, is illegal. Leash laws exist to protect animals and people, and as a responsible pet owner, you should abide by them. Any animal control officer, police officer, or appropriate law enforcement agent can issue a summons upon witnessing a violation. Contact your local humane organization or animal control facility to determine what laws apply in your area.